​Measure temperature and obtain access to real-time asset information at all times. Receive alerts of anomalies and critical changes for the efficiency of your business. Our solution will keep track and alert of high levels of humidity instantly. It will also detect anomalies and patterns that can affect product quality. Know exact asset location Learn if an asset is not moving or any anomalies are detected. Do it better. Deploy faster. 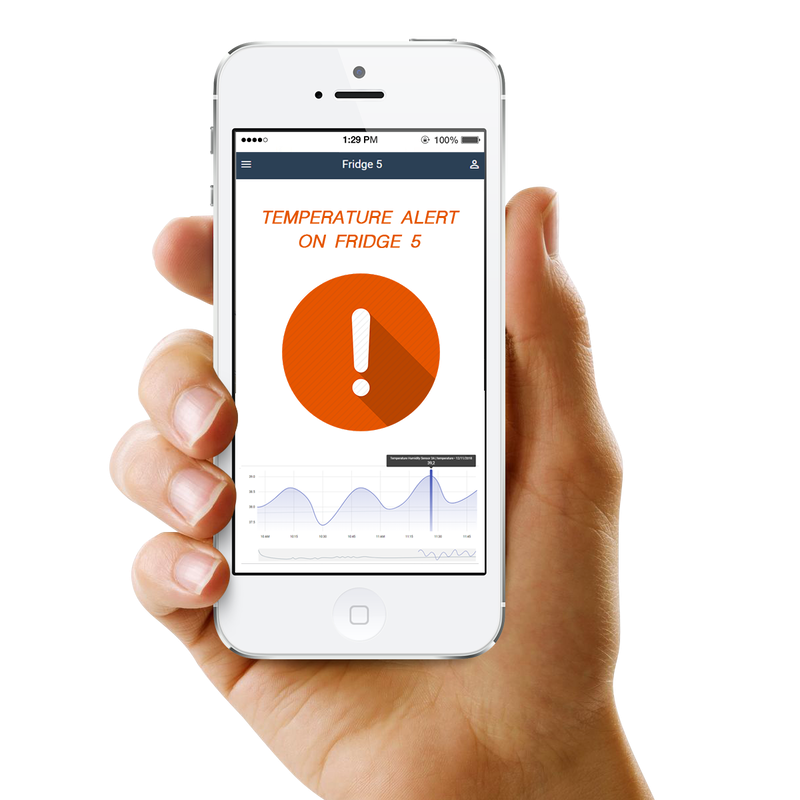 Webee Intelligent temperature and humidity monitoring provides the tools needed to preserve stock in a fully automated cloud-based system. A simple to use solution, right-out-of-the-box, that monitor status using a configurable software and application builder: Setup alerts, access historical data, generate reports, track your calibration measures and certificates directly through a custom app. Save time and add efficiency for your reporting requirements. The gateway that allows connecting to power and your network and links to the system. GNSS module for LoRaWAN packet time-stamping and geolocation capability. Backhaul options include 4G-LTE, 3G, 2G cellular or Ethernet for cost-effective global deployment. Webee’s universal sensor measures temperature and humidity highly compatible with a wide range of environments. Medical instruments, Handheld devices, Weather stations, Food Processing. Have a full understanding of the electricity used and access historical data anytime. ULRM-CM-2P Meter is an energy metering device designed to measure, monitor, and report the energy consumption of an entire building directly from the electric box or breaker panel, for users to look for energy-saving opportunities or provide tenant-specific billing. Installed directly in the factory’s main circuit box, with the clamps attached to it, the ULRM-CM-2P will monitor the total amount of electricity the entire home uses with accuracy and speed. 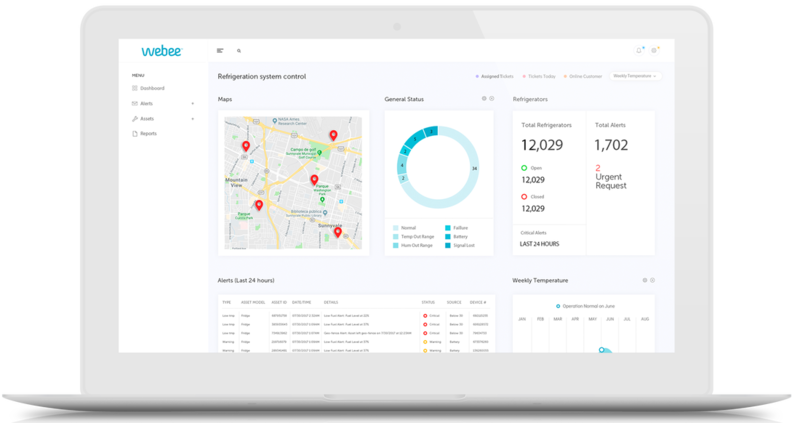 The magic happens in our intuitive software that allow you to self-program the cold monitoring system and monitor status right-out-of-the-box. You can apply any changes, distribute apps to different users per roles, access historical data, set up alerts, any time from your own dashboard. No need for technical support for your daily operations. ​A friendly user interface and intuitive builder so your team setup text message, email and voice notifications in a simple way. Obtain an holistic visibility across your assets and track maintenance and events resolution as well as instant access to analytical trends. Learn how this store in California changed the way they operate and overcome a long time challenge to their routine control process. The wireless temperature monitoring was installed and setup in minutes to access real-time temperature and humidity information and instant alerts to tablets and smartphones.